Japan will not try helicopter money. Drat. Japan Confirms It Will Not Be Undertaking an Awesome Economic Experiment. Drat. What could have been, Shinzo. Let us suppose now that one day a helicopter flies over this community and drops an additional $1,000 in bills from the sky, which is, of course, hastily collected by members of the community. Let us suppose further that everyone is convinced that this is a unique event which will never be repeated. Bernanke’s version of a Helicopter drop could work two ways: The government would decide to spend a bunch of money (say on a massive tax cut, or on a new public works program), then the federal reserve would deposit the funds directly in a Treasury account. Or the Treasury would issue new bonds, which the Fed would buy and hold forever, while remitting all the interest back to the government. Voila! Free money. The major economic side-effect, aside from the stimulus provided by new spending, is that inflation should rise—but when your economy is in a hole and prices are threatening to fall, that’s a feature, not a bug. How is this different than regular old quantitative easing, which the Fed has obviously tried many times since the Great Recession? With QE, the central bank buys government bonds on the open market and tries to push down yields, thereby pushing people into other, riskier assets, lowering interest rates for everyone, and hopefully spurring some economic activity. It’s indirect. With a helicopter drop, it’s coordinating with the rest of the government to finance immediate spending. And while it sounds a bit exotic, as Greg Ip has noted at the WSJ, there are at least a few scattered examples of it in history. The downside of a helicopter drop is that, well, it involves coordinating with the rest of the government, which a lot of central bankers think of as a cardinal sin—an absolute no go that could undermine their cherished independence. There’s also a risk that legislators would get hooked on easy money, which could bring about an inflationary calamity in the future. But that’s why it’s considered an emergency measure for nations in an economic slump, and why a country like Japan, that is teetering on the edge on deflation despite trying some out-their monetary techniques like negative interest rates, would be an ideal testing ground. So, why did everybody get their hopes up that a helicopter drop might be coming? Well, for one, Helicopter Ben paid a recent visit to Tokyo and had lunch with Bank of Japan Governor Haruhiko Kuroda. Meanwhile, a Japanese newspaper reported that aides to Prime Minister Shinzo Abe were pushing the idea. 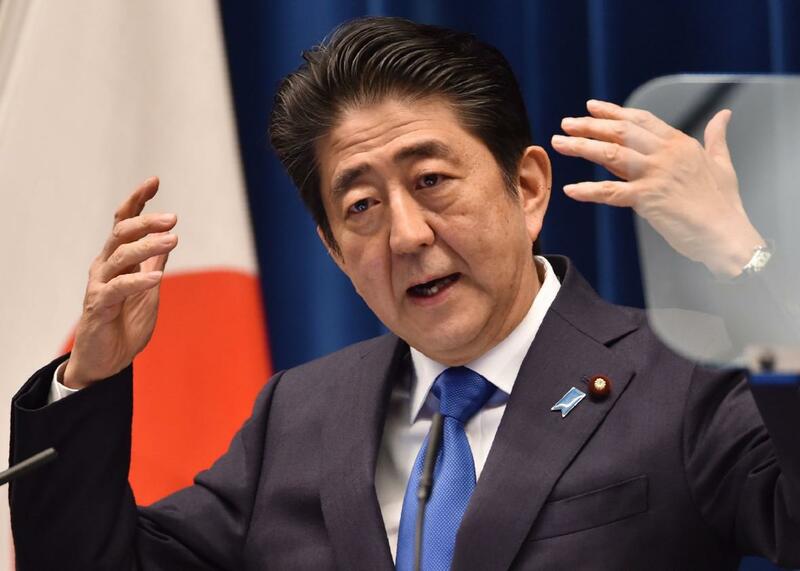 But, alas, Chief Cabinet Secretary Yoshihide Suga quashed the speculation on Wednesday. Maybe next year.